It seems the southwest region of Ohio is fertile ground for classic stoner rock. Sateen by Electric Citizen is the newest recording created with the most classic of styles. With a nod to the psychedelic giants of the 60s and 70s, Electric Citizen's female lead vocalist Laura Dolan, has a vocal styling reminiscent of powerful, mysterious singers like Janis Joplin, Grace Slick and Ann Wilson. The full entourage of Electric Citizen, Ross Dolan (guitar) Nick Vogelpohl (bass) Nate Wagner (drums), do an incredible job of meshing a Deep Purple influence with an early 70s Black Sabbath feel. "Queen of Persuasion" delivers a passionate, bluesy guitar solo and "Savage" showcases the band's loud swagger. The heaviest riff on the record is in "Trap" which harkens back to Ronnie James Dio's early days. Light Years Beyond by Electric Citizen It's hard not to like a band that writes great songs with a classic, heavy influence. 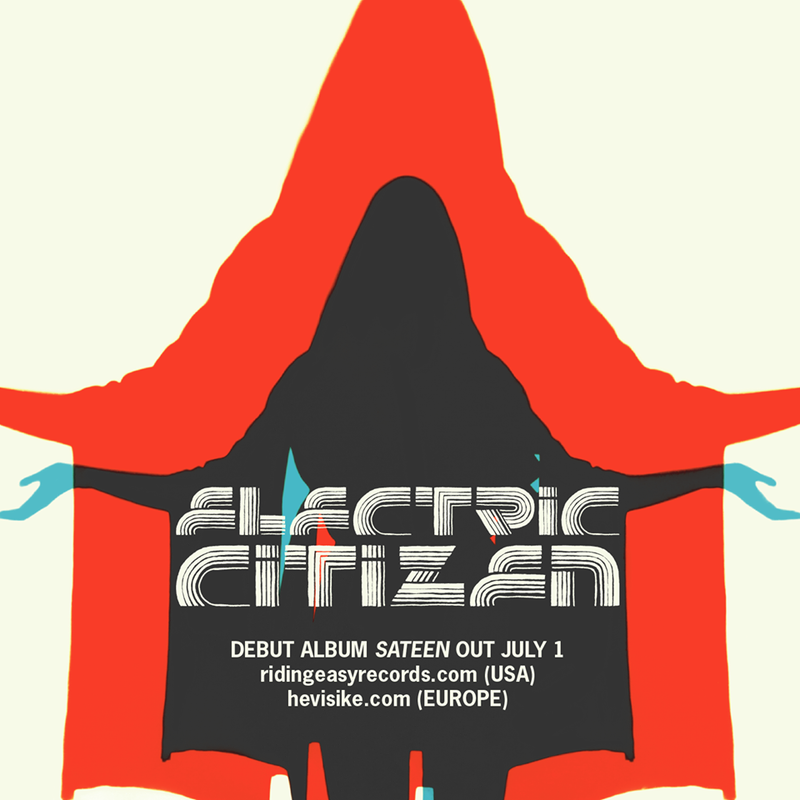 Electric Citizen reminds us of what music can still be; earthy and original yet familiar. Although the production on the record lacks a bit of polish, the band's charm more than makes up for it. There's nothing soft about Sateen.